At the recent Urban Land Institute (ULI) Fall Meeting in Los Angeles, architect Frank Gehry made surprising remarks concerning the future of the Los Angeles River in a wide-ranging interview with Frances Anderton, host of KCRW's DnA: Design and Architecture. During the discussion, Gehry told Anderton, “You can’t build habitat and you can’t build space for recreation in the river,” meaning the removal of the river’s concrete-lined bottom. He emphasized his statement, adding, “I can tell you it will never happen,” before explaining that removing the concrete lining at the bottom of the river—as has already been done along a three-mile-long section surrounding Griffith Park—would drastically reduce the channel’s ability to safely carry away storm waters from L.A.’s periodic downpours. Gehry explained that removing the concrete would only be possible if the channel itself was made much wider, saying, “If there’s grass at [at the river’s bottom] you’d need to make the river seven times wider.” Gehry pointed to the Army Corp’s analysis, which is focused predominantly on the channel’s ability to handle massive storm surges, as the main reasoning for this statement. The comments cast doubt on the ever-growing list of L.A. River-related restoration that see ecological and recreational use as being central to the future of the river. Up and down the length of the 51-mile-long river, various local agencies, landscape architecture, and architecture firms are working on proposals envisioning a lush, socially-activated river. At least three new bridges are in the work, as well as several new housing developments, parks and even, a plan to bring 36,000 housing units to areas surrounding the river. 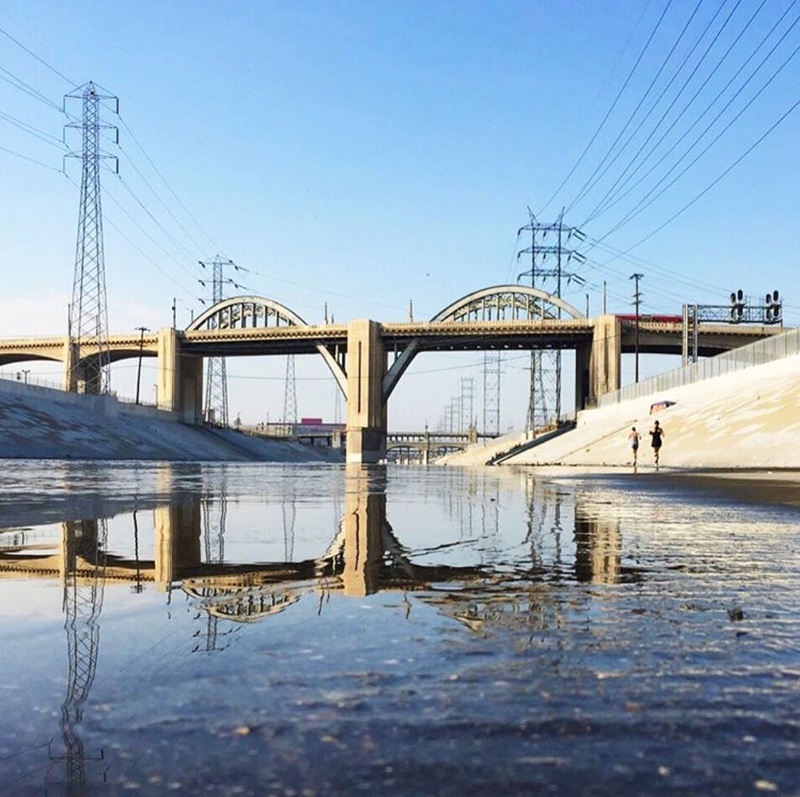 Gehry’s comments raise the question—Is L.A.River in danger of finding itself up the creek without a paddle? Cookie-cutter Levittowns epitomize the post–World War II generation’s housing: Shaped by subsidies and segregation practices like redlining, vast tracts of cul-de-sacs and ranch homes filled up with white Americans emptying from the cities. Now, as a new generation stands to form 14 million new households over the next decade, the suburbs are poised for major changes. Drawing extensively from census data, the ULI—working with real estate consultants RCLCO—used factors such as housing types, population density, employment density, and distance from city centers to identify the suburban areas outside of America’s 50 largest metro areas. Organized by census tract, each area is classified into five suburban categories based on land value and a host of development trends. Also contrary to population conception is the suburban demographic: 75 percent of 25- to 34-year-olds in the report’s top-50 metro areas lives in suburbs. That age group (millennials) may drive major national changes there. “There are still a lot of millennials who have not really formed households, or even if they have, have not even begun to fully express what we expect to be their purchasing power and their preferences in the housing market,” said Williams. According to previous ULI studies, 75 percent of millennials plan to move in the next five years, and that group has a strong preference for car-optional neighborhoods that are diverse and pedestrian- and bicycle-friendly—in other words, compact mixed-use developments. So what will happen when millennials want to upgrade the sizes of their dwellings, form households, or pursue home ownership, especially when as of 2014 the median household income for those aged 25 and 34 was $54,243? 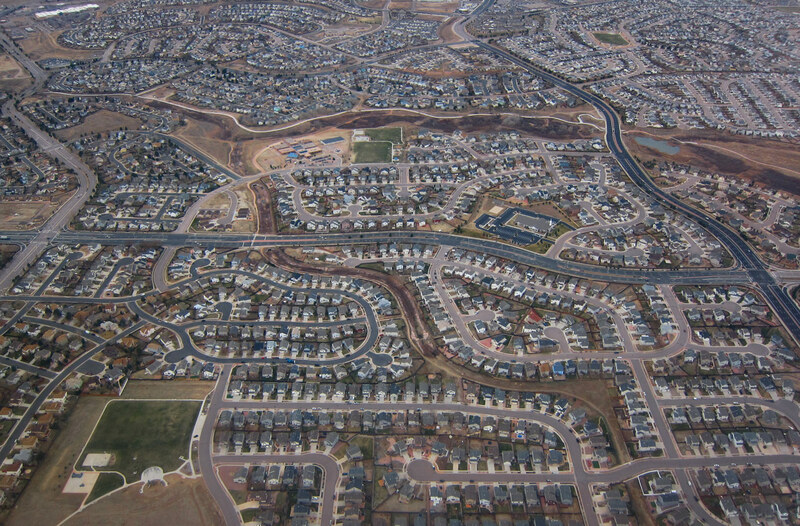 Another complicating factor is the fate of older suburban housing stock. Though it’s unclear at what rate those homes will enter the market, when they do, there may be little demand from younger generations for homes “that were built in the ’60s, ’70s, ’80s, largely to meet the needs and preferences of the nuclear family unit of that era, in communities that may not always reflect today’s preferences,” said Williams. Lastly, the prospect of driverless and electric vehicles—estimated to enter widespread use in 20 to 30 years, according to the report—could be highly disruptive. Autonomous and shared vehicles could vastly curtail parking requirements that stifle density while making long-distance car commuting more amenable. Electric vehicles could also make the suburbs more sustainable. While some have portrayed the report as another round in the city-versus-suburb debate, that’s not Williams’s takeaway. He argues that the suburbs’ range of housing options make them integral to the success of their cities and vice versa. “You really are seeing pretty significant and sustained growth in a number of the metro areas…where housing is more affordable.” But a range of factors—from fair-housing enforcement to driverless cars, aging in place, and millions of households’ preferences—have yet to play out in each region. We all know there's value in transit-oriented-development, but what about trail-oriented development? The nonprofit Urban Land Institute (ULI) released a study that examines how active transportation—biking and walking infrastructure—can work in urban planning, development, and land-use projects. The report highlights ten case studies (a blend of mixed-use, multi-family, and residential projects) in cities across the the world, from Des Moines, Iowa, to Singapore. 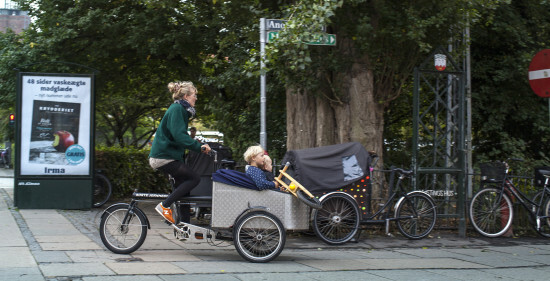 European cities such as Copenhagen and Amsterdam have some of the highest percentages of people who commute by bike. Therefore, they've long factored this type of design into their urban development. In the U.S., cities like New York, Seattle, Portland, and Washington D.C. are investing in bike lanes. What happens when officials, urban planners, and developers, and other professionals involved in the built environment put a premium on safe sidewalks, cycle paths, the pedestrian, and the cyclist? Trail-oriented development can create major savings in health costs. “In terms of health and wellness benefits, the report points to savings of $103 million (US dollars) in Sydney due to the increase in bike trips and reduced traffic congestion,” writes the ULI in a release. “Also, in Philadelphia, a 2011 study found that residents’ use of biking trail system avoids $199 million per year in direct medical costs and $596 million in indirect costs.” The ULI report looks at global active transportation infrastructure from multiple perspectives: highways for bicycles in Copenhagen, bike sharing in Paris and China, and The Circuit Trails bike paths in Philadelphia. Real estate also figures prominently in the report. In addition to supporting health and wellness, urban and suburban trail systems help spur real estate development and increase property values. You can read the full report here. If words were water, the Los Angeles River would be overflowing its banks. If pronouncements were viable projects, a very green sustainable Southern California is in the offing. There certainly were a lot of words and pronouncements at the industry heralded “FutureBuild” convocation in L.A. this week, staged over two days by the venerable VerdeXchange conference with the Urban Land Institute. Attending were an estimated 700 people described by the sponsors as “public and private sector market-makers who buy, manufacture, sell, finance, endorse, and legislate green technologies, products, innovations, infrastructure, and sustainable services.” It was very much a design and development crowd. Of major interest was a keynote session entitled “A River Runs Through It: Reimagining L.A.’s Water Way,” with opening remarks by the city’s personable Mayor Eric Garcetti, to be followed by a widely promoted panel prominently featuring celebrity architect Frank Gehry. Garcetti was his smooth self, reviewing the rise and fall of the river’s prominence through the city’s history, touting its present planned revitalization by a concerted community effort, and its critical importance to the future of the city. It was a variation on a speech the mayor has been delivering for several years. 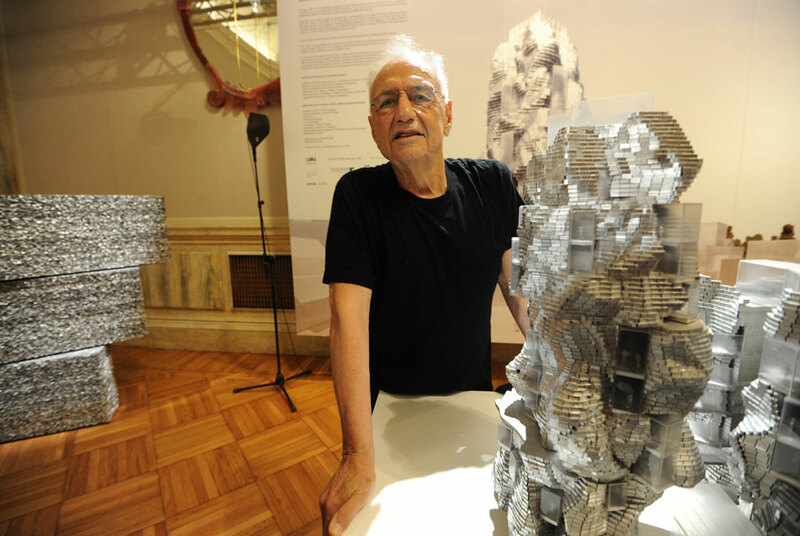 However, it did not assuage the announcement that Gehry had bowed out of the event at the last moment. His appearance had been anticipated as an opportunity for him to reply to the skepticism surrounding his appointment by the mayor’s L.A. River Revitalization Corp. to master plan the 51-mile waterway. Instead of being viewed as a second coming, the selection roiled river advocates who had been involved in various long term and long suffering efforts, marked by team planning and transparency. They charged that Gehry, with little landscape experience, has come late to the party, attracted by the publicity it is generating and a $1.4 billion price tag. Gehry has been sharply dismissive of any criticism, while his fans, including the mayor and his minions, have been hinting at the architect generating concepts that will catapult the city to prominence and also enhance its bid for the 2024 Olympics. They will have to wait a little longer, according to Tensho Takemori, Gehry’s surrogate, who said the office was still gathering information while working on a 3D model of the river. “We are not holding our breaths,” commented architect Gerhard Mayer. Indeed, in addition to the one on the L.A. River, the sessions covering every shade of the rising “green” consciousness, from energy to infrastructure, were mostly standing room only. Said an architect trading candor for anonymity, “We’re here not for Frank, nor really for the presentations, but for the networking.” Green is hot. 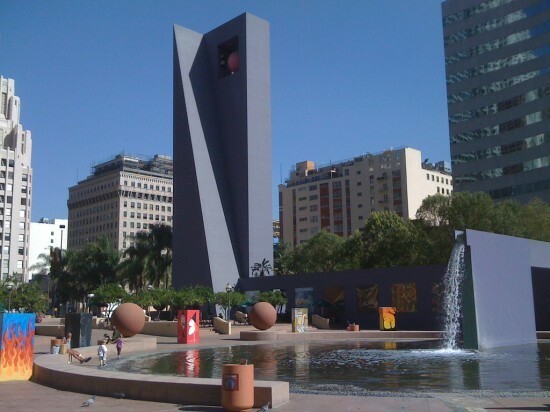 Ricardo Legorreta’s much maligned design for Pershing Square is getting a makeover. The day after the Los Angeles City Council voted to support a public-private partnership to overhaul the five-acre urban park, councilmember José Huizar and Pershing Square Renew announced an international design competition geared to rethink the open space that now sits ingloriously on top of an underground parking garage. 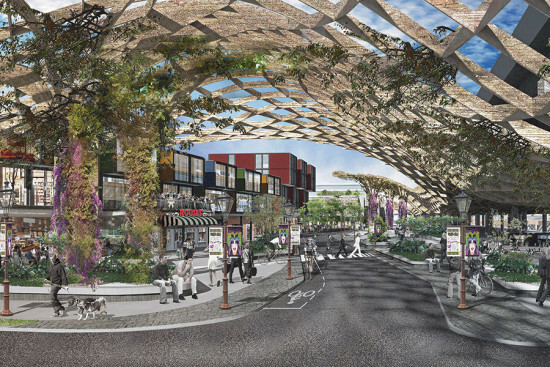 The design competition grew out of a task force established by Huizar, which members of the design, development, and policy communities, including Macarlane Partners, Gensler, NBBJ, JFM Development, LA Recreation & Parks, and the Urban Land Institute. MacFarlane Partners, which is developing 99,000 square-foot site overlooking the square, pledged $1 million pledge to seed Pershing Square Renew. The Department of Recreation and Parks earmarked $1 million for “immediate future for infrastructure improvements and amenities.” In 2013, AN published a series of renderings by Gensler of a reimagined Pershing Square. Rather than being an early entry into the contest, that design was a catalyst for recognizing the space’s potential. The firm is now the Urban Design Advisor to Pershing Square Renew and cannot participate in the competition. Remarks by Huizar at a city hall press conference emphasized the need for community input at every stage of the design process. The stakeholders in Downtown Los Angeles in 2015 are vastly different from 1992 when Legoretta’s project opened. The goal is to make the square more welcoming and accessible to all users. Because there are more residents and businesses downtown, the competition brief stresses that the park needs to accommodate a number of uses at any time of day or night. In early 2015, Project for Public Spaces hosted a series of outreach events and workshops, and a report of activities and programmatic vision is included as part of the competition brief materials. “The architecture doesn’t support use now,” said Huizar of Legorreta’s belltower and brightly colored walls. Frustrated at how “fortress-like” the existing park seems, he hopes instead for a town square. “Use informs design, not design informs use,” he noted. The brief and accompanying report suggests that proposed designs could incorporate surrounding roadways and sidewalks, with occasional street closures for events. One challenge for all design proposals is how to tackle the ramps leading into the parking structure; a hurdle that Gensler’s Brian Glodney described as “Like a moat.” The competition also raises some tough questions about the role of architecture in relationship to placemaking and community engagement. “Our intention is not to create a masterpiece, but to create a canvas that invites the community to create their own masterpieces in how they use the space,” said Eduardo Santana, executive director of Pershing Square Renew. The competition asks for letters of interest to be submitted this month, followed by a request for qualifications in October. A shortlist of firms will be asked to submit proposals to a jury. Finalists will present to the jury in February with a winner announced later that month. The renewed Pershing Square is planned to open in 2020. In late January 2014, an Urban Land Institute (ULI) Advisory Services panel presented recommendations for the dilapidated Houston Astrodome. 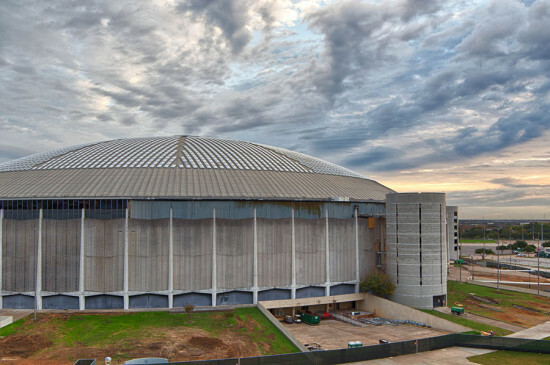 The report follows several ill-fated dome reuse attempts, including a plan and $200 million bond referendum to turn it into a convention center that was shot down by Harris County voters in 2013. 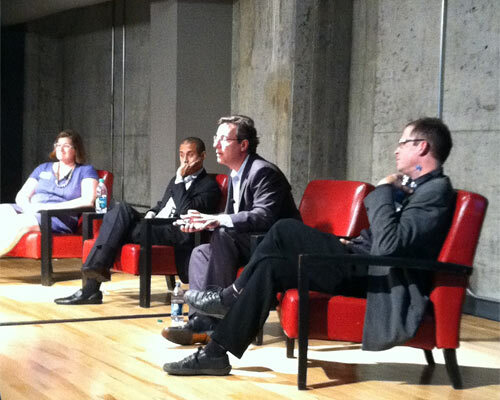 The ULI panel was definitive in its assessment. The dome, it stated, must be saved. It also unveiled a plan, complete with design sketches and funding strategies, to transform the former stadium into a public park that could be completed in time for Super Bowl LI, which Houston is hosting in 2017. ULI's plan for the dome combines certain elements of some of the previous reuse schemes that have been floated, either formally or informally, and seems to attempt to forge a compromise among the most practical of them all. It proposes to raise the dome's sunken floor to grade level and to turn the interior into a flexible public park complete with lawns, climbing walls, and zip lines. Sheltered from the sky by the 600-foot clear span Lamella dome roof, the plan opens portals in the building at the four cardinal points. The four portals can be open or closed, and parts of the planted ground surface can be removed and replaced with hard surface for the purpose of hosting conventions, such as the annual Offshore Technology Conference. The interior is also reconfigurable for the other regular NRG events: game day for the Houston Texans NFL team, or the Houston Livestock Show and Rodeo. The lower levels provide 100,000 square feet of parking (a similar, but far less bold proposal as the winner of AN's Reimagine The Astrodome competition). The ULI plan also made recommendations for the 360-acre NRG Park, which includes several other large facilities—namely NRG Stadium, the NRG Convention Center, and NRG Arena—not to mention more than 26,000 parking spaces. The most significant of these is a civic park with live oak–shaded promenades that creates an ordered progression from the METRORail light rail station at the east edge of the site to the dome. Shaded promenades also link the dome to the other large facilities, and a park, planted with native vegetation, surrounds the dome itself. To pay for it all, ULI recommended a public private partnership with money coming from TIRZ24, hotel and occupancy tax, philanthropy, project tax credits, federal and state energy funds, and a county bond if necessary. It estimated that the park's operating budget would be between $500,000 and just under $1 million per acre, which, to provide some perspective, would put it between the operating budgets of Brooklyn Bridge Park ($460,000 per acre) and the High Line ($1.3 million per acre). It's too soon to tell if the ULI plan will be fully fleshed out and implemented, but if it's going to happen in time for the Super Bowl, Houston and Harris County need to move fast. Harris County Judge Ed Emmett told Urban Land, ULI's magazine, "I give this almost a 100 percent chance of succeeding." Almost, of course, won't do it, and given the nearly 20 years of dithering discussion about whether to save or raze the one-time "8th Wonder of the World" without any decisive action one way or the other, it's hard to get too excited about this plan. At its annual fall meeting (this year in Chicago), the real estate research non-profit Urban Land Institute released its 2014 trends report Thursday. The verdict of the 1,000 professionals surveyed? Next year we will continue “recovering from the recovery,” in the words of one respondent, following the depths of the 2008 recession. The Emerging Trends in Real Estate report (download the full report here) asked 1,000 individuals—mostly property investors and developers, but also banks, lenders and homebuilders—to forecast the coming year in the real estate industry. 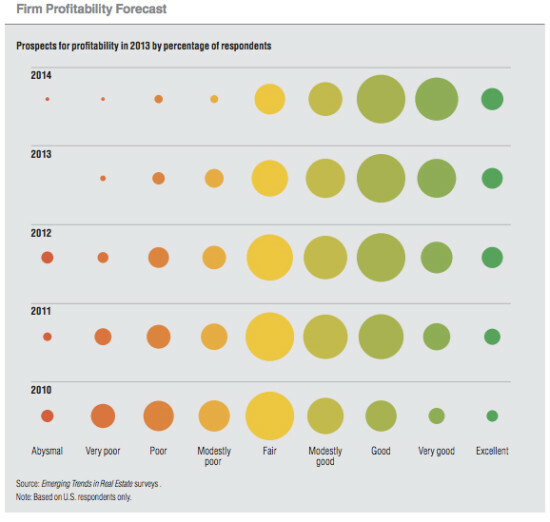 The report, ULI’s 35th annual, dubbed this coming year the first of the “middle innings” of the economic recovery. Banks are again comfortable with real estate, ULI’s Stephen Blank said, having repaired balance sheets damaged by the financial collapse. There’s money to be made, the report said, in secondary markets (including many of the same cities we associate with the foreclosure crisis—Las Vegas, Atlanta, etc.). Secondary property types are also heating up, the report said, such as rentals of single-family homes. Of the report’s "U.S. markets to watch" list, the top slots go to San Francisco, Houston, San Jose, New York City, and Dallas/Fort Worth. At the bottom of the list are Detroit, Providence, RI, and Cleveland. But while some investors and lenders are loosening their grip on the purse strings, that doesn’t mean property owners are ready to sell. ULI’s Andrew Warren points out demand for warehouse and industrial spaces, for example, has soared, with more than 60 percent of survey respondents expressing interest. But fewer than 10 percent said they wanted to sell. Similar discrepancies exist in other sectors, which could drive prices over the next year. It seems despite the increasing momentum, property owners are still largely content to hold on to what they've got. The Urban Land Institute (ULI) has announced five finalists for the Urban Open Space Award, a competition identifying exceptional examples of flourishing public open spaces that have encouraged economic and social rejuvenation within their neighborhoods. To qualify for the competition, projects must have been open to the public for a minimum of one year and a maximum of fifteen years. The open spaces must also be situated predominately outside, offer ample and diverse seating, sun and shade, and plantings, among other specific requirements. Brooklyn Bridge Park (Pictured at top) New York, New York Project Owner: Brooklyn Bridge Park Designer: Michael Van Valkenburgh Associates From ULI: More than 32 acres have been built, including Pier 1, Pier 5, Pier 6, Squibb Park and Bridge, and Jane’s Carousel. New elements include Pier 5, the park’s first active recreation pier, and Squibb Park Bridge, which provides a vital circulation link to the surrounding community and public transit. 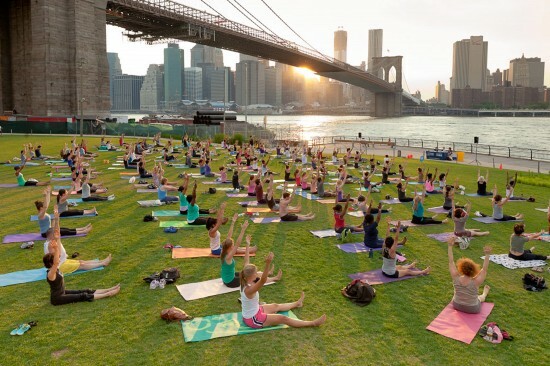 The park’s greenway serves as a major connective thread through the park and along Brooklyn’s East River waterfront. Cumberland Park Nashville, Tennessee Project Owner: Metro Nashville Parks and Recreation Department Lead Design Consultant: Hargreaves Associates From ULI: Cumberland Park demonstrates Nashville’s commitment both to its children and to sustainability through brownfield remediation, floodplain preservation, stormwater harvesting, improved biodiversity, and interpretation of cultural and natural resources. It is a park that showcases its distinctive site qualities to attract families for imaginative play, events, and interaction with Nashville’s rich riverfront history. Cumberland Park and the neighboring redeveloped Bridge Building are the first constructed phases of a master plan prioritized to draw residents and visitors back to the river and downtown. The Village on False Creek Vancouver, British Columbia Project Owner: City of Vancouver Designer: PWL Partnership Landscape Architects From ULI: Located on a previously industrialized 80-acre waterfront site, The Village on False Creek, Vancouver’s premier sustainable neighborhood, exemplifies a new green-infrastructure-based approach to the public realm through the introduction of restored natural environments into a highly urban community. The public realm is composed of Hinge Park, Habitat Island, a waterfront park, and neighborhood streets. Together they provide multiple and varied recreational opportunities while acting as kidneys for the neighborhood, cleansing stormwater runoff before it reaches the ocean. The Yards Park Washington D.C. Project Owner: District of Columbia Designer: M. Paul Friedberg & Partners; Developer: Forest City From ULI: The goals of Yards Park are to bring Washingtonians to the Anacostia River, provide a transformative and vibrant public space, and generate social, economic, and ecological value. Yards Park offers an eclectic blend of human-scale experiences; active and passive spaces; custom furniture, shade structures, and plantings; and differentiated elements such as a sculptural bridge, public art by Jamie Carpenter, and various circulation paths and water features. In 5.7 acres, Yards Park eschews monumental scale for a series of outdoor rooms that rotate around central organizing elements of water and topographic change. Its programming strategy includes both large-scale festivals and smaller gatherings. Yards Park serves as cultural anchor to the Yards and the greater Capitol Riverfront area, reconnecting the city’s grid to the water. Wilmington Waterfront Park Wilmington, California Project Owner: Port of Los Angeles Designer: Sasaki Associates From ULI: Wilmington Waterfront Park, comprising nearly 30 acres, mediates the relationship between the residential neighborhood of Wilmington and the intensely active Port of Los Angeles. Reclaiming derelict, industrial brownfield land as new public open space, the park serves as a new recreational amenity while mitigating the threat of hazardous environmental waste, air and noise pollution, and dangerous industrial traffic from neighborhood streets. The park provides a safe, accessible new public realm; celebrates the vibrant community culture; interprets the site’s past; and creates a new memorable destination within a previously underserved neighborhood of Los Angeles. Last night, the Woolly Mammoth theater in downtown Washington, D.C. hosted a forum on design's potential to affect social change, organized by the San Francisco nonprofit Public Architecture and sponsored by Teknion. Attendees filed into a rehearsal hall to hear four speakers from the public and private sectors who are using design to effect change on different scales. John Peterson, the founder of Public Architecture, introduced the session with a brief survey of his organization's projects and programs, and a call to action: Noting that there are 1.5 million nonprofit organizations in the United States, and that their total annual revenue tops $1 trillion, he contended that this is an important client base designers have mostly failed to engage. An important objective of Public Architecture right now is "to wake that sleeping economy," he said. Jess Zimbabwe, executive director of the Rose Center for Public Leadership at the Urban Land Institute, spoke about her group's efforts to foster dialogue between developers and public officials. A fellowship program that the Rose Center runs for public officials allows them to "step back from emergencies at their desks" and practice design thinking—not the most natural mode of thinking for them, Zimbabwe pointed out. Gabriel Kroiz, an architect who is program director at Morgan State University's architecture school in Baltimore, discussed his work on the building and neighborhood scales in that city, as well as his teaching, and Frank Giblin, director of the Urban Development/Good Neighbor Program at the GSA, described the collaborative strategies used to improve public spaces around several of that agency's courthouse projects. Local developer Jair Lynch spoke of belonging to a "new age of developers" who are responding to the societal shift toward living and working in existing places, and put forward a five-stage model of urban regeneration. The conversation picks up again tonight in Philadelphia, with a forum at the Arts Ballroom on Locust Street. Once again, the results of the Urban Land Institute (ULI) /Ernst & Young annual global infrastructure report don't look good for America. According to the document, "The United States notably continues to lag its global competition—laboring without a national infrastructure plan, lacking political consensus, and contending with severe federal, state, and local budget deﬁcits that limit options." The end of the federal stimulus package in 2013 makes the picture even bleaker. "The stimulus helped, but it was only a down payment on what’s needed," said Ernst & Young Global Real Estate Leader Howard Roth at a recent ULI meeting in Phoenix. There are solutions, according to Roth. Among them the U.S. needs to "put in place a national infrastructure strategy rather than take a piecemeal approach." Congress must authorize the next surface transportation bill which is long overdue, regional transportation planning needs to be better coordinated and the country "must make itself a preferred market for institutional investment capital by encouraging private investment." Maureen McAvey, executive vice president at ULI, said we're entering an "era of less" in which the political reality opposes new taxes, tolls, and user fees (for instance, the gas tax has not been increased in 18 years). Faced with declining sales tax revenue and less federal support, projects across the nation are stalling and transit systems--which can't legally run a deficit--are cutting back service. With an expected annual increase in population of three million people over the next several decades, McAvey points to regional cooperation as one way forward. She noted that when ballot measures to fund transportation projects are presented to the public, they are overwhelmingly passed (on average, 71% over the past decade). Such measures usually call for a self-imposed sales tax increase or bond measure. Another funding mechanism expected to play an increased role in the future is the public-private partnership (PPP), said Jay Zukerman, U.S. Infrastructure Leader at Ernst & Young. Pointing to projects such as a $7.2 billion highway in Dallas and a light rail line in Denver, Zukerman said PPP's can be a valuable tool. He cautioned that PPPs "generate alternative financing, but don't grow the revenue pie," so they are not a substitute for sound infrastructure policy. Roth continued, "China, India, and Brazil have all embarked upon strategic infrastructure programs and will invest about $1 trillion each over the next three to five years in high speed rail, new highways, toll roads, and urban transit." All agreed it will be vastly important for the United States to develop an infrastructure plan and then implement it for the nation to remain competitive in the future. Missing Parklet. Who would steal a parklet? 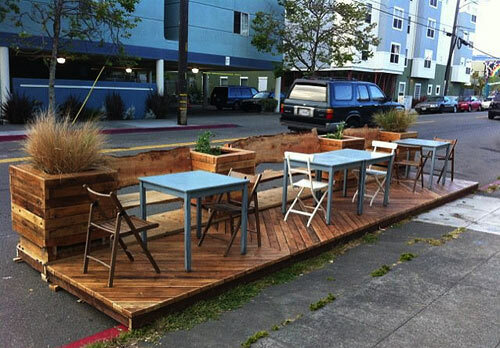 The Oakland Local spotted a worried Facebook page for Actual Cafe whose parklet, pictured above, disappeared last week. San Francisco is the city that invented the parklet concept--transforming parking spaces into extensions of the sidewalk--and we hear they're quite popular, so what gives? The cafe has security footage of the early-morning incident. Celebrating CityGarden. St. Louis' much acclaimed urban sculpture park, CityGarden, has been awarded ULI's 2011 Amanda Burden Open Space Award, named for NYC's Planning Commissioner who sat on the selection jury. The St. Louis Post-Dispatch said the garden topped projects in Portland, OR and Houston to claim the $10,000 prize. Chatham Scratched. DNA reports that plans to transform Chinatown's Chatham Square at the foot of the Manhattan Bridge have been put on hold. The $30 million project would have reconfigured the busy confluence of seven streets to improve traffic flow and pedestrian safety, but with other construction projects already clogging the area, the city didn't want to make matters worse. Funds will be used for other Lower Manhattan projects instead. Directing Traffic. Robert Puentes, a senior fellow at the Brookings Institution, has penned a feature-length article on the future of transportation for the Wall Street Journal. In recounting the good, the bad, and the ugly of transportation policy, Puentes calls for innovation and sustainability along with increased access to boost the economy.